Recently, a NewsChannel 5 Investigates report ran another negative racist story citing sources who accused Metro Nashville Public Schools Director, Dr. Shawn Joseph, of playing a rap video containing explicit and misogynist lyrics directed at Metro Nashville Board of Education members. The news report further delved into an old radio interview in which Joseph compared himself to the nation’s first African-American president, Barack H. Obama. It is easy to correlate the historical significance that Joseph shares with President Obama in his role as the first African-American director of schools here in Nashville. Yet, instead of inheriting a dismal economy, Joseph must meet the high expectations and demands of turning around a troubled school district. But, for now, back to the music. Certainly, like any art form, music can mean different things to different people. Some might assert that the picture painted in the NewsChannel 5 story was incomplete considering its sources represented only a small fragment of the more than 100 prop to it at the time, as well as that of grunge music, have grown up to become some of our most innovative entrepreneurs, business leaders, scholars and activists in communities around the globe. The Tribune says we are spending way too much precious time debating a rap song. We can take anything and define it any manner that we so desire. People have long interpreted Bible verses, poetry stanzas, and song lyrics in different ways. Even now, people still discuss whether Leonardo da Vinci’s famous Mona Lisa painting shows her to be happy or sad. Again, it’s all in personal interpretation. With that in mind, could it be that this whole situation surrounding a rap song has been misconstrued into something more than what it is – a party anthem who many understand to be just that? There is a difficult budget year ahead for MNPS, and principals, teachers, administrators and staff must remain committed to keeping students first. While some priorities may be temporarily halted due to this shortfall, efforts to continue communication, community engagement, and partnership development will help build on student achievement. Quite frankly, more time should be devoted to talking about district successes and meeting challenges which have yet been resolved. We should talk about those things which benefit students, and the expectations that families and parents have for the future success of their children. Successes this year have come in short-order and are promising steps toward equity and excellence for every single child in the school district. We should take time to ask ourselves why we are not taking more note of the fact that for the first time this district has seen gains in math and reading scores among students in grades 2-8 surpassing the national average in all but fifth grade mathematics? Why are we not applauding the district’s leadership for its nationally-recognized citywide literacy collaborative specifically designed to improve early literacy rates by 3rd grade? How about talking about the significance of a $15 million Magnet School Assistance Program grant that will create five new STEAM magnet programs at the elementary level to provide additional educational options for families? Why are we not sharing the good news about the increased professional development training opportunities teachers have received or the work that’s being done to leverage stronger partnerships with organizations such as the Nashville Public Education Foundation, the Metropolitan Nashville Education Association, the Nashville Chamber, Alignment Nashville, PENCIL, United Way and other agencies? What is more important than the progress taking place at the middle school level in which STEAM curriculum is helping students learn to communicate better, collaborate, be creative and think critically? Should we not be proud of the fact that more students will be better prepared for college and career because greater emphasis is being placed on advanced academic programs, industry certifications, and college credit courses? Or what about the fact that MNPS has established its first Early College High School program, which will allow students to earn a high school diploma and college associate degree at no cost to families? These are just a few good things happening in Metro Schools, and The Tennessee Tribune believes even more good things can happen if some members of the board spend less time acting like children and more time focusing on children. So, let’s “Blow the Whistle” by calling out opportunities that continue to move the school district forward. And whether it’s the defiance of rock-and-roll, the inspiration of gospel, the storytelling from a country song or the consciousness of rap, the focus should always remain on our children. 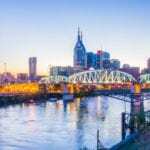 If we all lift our voices and sing from that songbook, then we will no doubt make education in Music City a #1 hit in “It City”! Finally, let the Tribune say this: there are hundreds of white male executives (and their wives, children, girlfriends, lovers, neighbors, etc.) in Metro, two African American men and then there is NES with its African American President and CEO (to our knowledge no African American professional men work there – pray we are wrong). In a city with a large government population, black men are denied employment and the Metro Nashville Public School Director has been harassed since he arrived. There is something wrong with this picture. Where is justice from the white media? 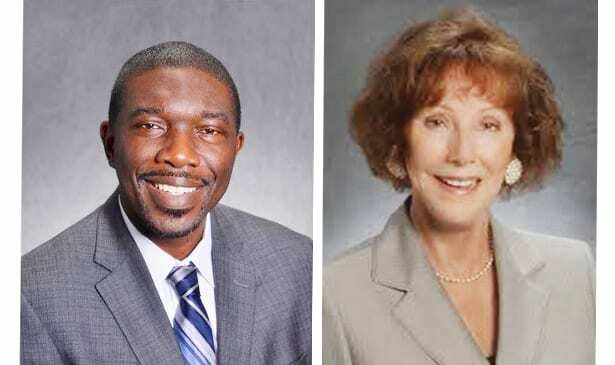 We at the Tribune find it appalling that two privileged white racist female board members and Channel 5 continues racist attacks on an outstanding African American Metro Nashville Public School Director yet have never challenged any previous white Metro Nashville Public School Director. If previous white directors were without fault then why was the school system in such poor shape? After not caring about the system, have they have gone on to mega-dollar positions at the expense of our children? Next articleKnoxville College: Where is the Light?